After a superb first season in 2014 winning twice over hurdles for the NRC, she ran 2nd at Musselburgh in January 2015 albeit with a lot of encouragement. She was found to have fairly high grade ulcers which was obviously the reason for a below par season. We treated this with great success as she came back to win at Kelso over fences on 29th December over 3m2f in heavy ground. In 2016 she came back to win the same race again at Kelso. In 2017 she ran an excellent 2nd over hurdles at Wetherby carrying top weight and followed this up with probably her best run to date in a class 3 chase at Catterick. After a blunder at the last when leading, she made 3rd place and may well have won but for that blunder. 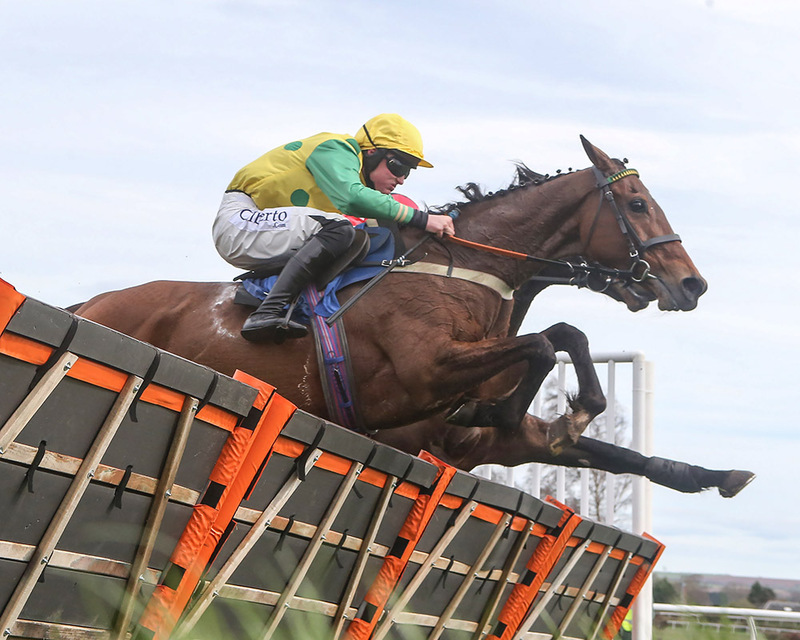 A brilliant win at Kelso for Total Assets at the April 3rd meeting when everything went according to Callum Bewley's carefully thought out plan. He tracked the leaders and took it up at the last, was never headed and won by a clear 7 lengths. We enjoyed the excellent hospitality in our box with the bubbly kindly provided by Kelso Racecourse and are very grateful to the race sponsors The Newcastle Arms at Coldstream. This was her 4th win at Kelso, 2 chases 2 hurdles to add to her 5th hurdle win at Newcastle. We think she likes Kelso! From Kelso Total Assets went on to Carlisle where she produced possibly her most spectacular win to date. Having tracked the leaders all the way, Callum Bewley asked her to take it up at the bottom of the final hill and she just took off, winning by a very wide margin. This was her third win of the season, her best to date. She just keeps on improving.